The European Commission is planning new industry governance measures to improve the security of internet connected devices. In an effort to improve the security of internet-connected device such as set-top boxes, cameras and other consumer electronics, the European Commission is planning to push new industry governance measures that would make it more difficult for hackers to exploit these devices to carry out attacks. A senior Commission official revealed these plans at a conference in Brussels with the hope of being able to guarantee consumers that their internet-connected products could not be turned against them or utilised as part of a larger attack. The certification process would likely resemble the one used by the EU in 1992 to label white goods, light bulbs and auto mobiles based on how much energy they consumed. However, Kleiner is aware that there may be backlash from some hardware manufacturers that would consider the process as unachievable. As an alternative, they would likely propose a standardised component that could be included in all connected electronics to ensure security. The majority of connected devices currently on the market have few if any security protections which has made them a prime choice for hackers who can easily exploit them and combine them to form large botnets. A users whose device had been compromised would most likely be unaware that a hack had even occurred. The European Commission has shifted its focus to IoT and has even created a group called the Alliance for Internet of Things innovation, backed by many large companies in the energy, automotive and medical fields. 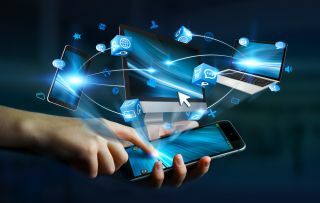 There are already around 6 billion connected devices being used all over the world and Gartner expects this number to rise to 20 billion by 2020.